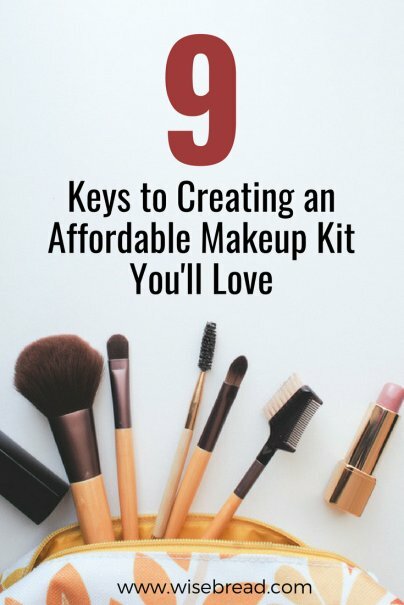 You don't need to spend much to upgrade your makeup kit. Nowadays, some drugstore cosmetics can stand up to the most expensive luxury brands, all at a fraction of the price. To get you started, we've included some tips to help you create the best makeup kit anyone can afford. It's crucial that you choose the right shade for your skin. Otherwise, you may end up wasting money on a product that is too pale or dark for your complexion. If you aren't sure which shades are right for you, ask a professional at a store like Sephora, or try a tester bottle on the back of your hand. If you bring something home and realize it doesn't match your skin tone or style, don't be afraid to take it back. Many drugstores, department stores, and specialty stores will accept returns, so you're not stuck wasting money on something you'll never wear. Have you heard of the $20 makeup challenge? Some of the most trusted professional makeup artists, beauty bloggers, and everyday beauty mavens are taking part in the challenge to find great drugstore makeup kits for a total cost of only $20 or less. Find someone on Pinterest or YouTube who closely matches your skin tone, complexion, and personal style, and follow their suggestions. You can also browse #20makeupchallenge on social media to see some of the best makeup hauls for $20 or less. You don't need to spend a lot to get quality brushes. There are a number of available sets for well under $20, such as Amazon's best-selling makeup brush kit, which includes everything you'll likely need. You can even find deals that include quality makeup brushes and a complexion beauty blender for around $15. If you take care of your brushes and clean them regularly, they will last for years. When shopping at stores like Sephora or Ulta, either online or in-store, make sure to take advantage of all the savings they offer. Look for sales, coupons, promo codes, and store loyalty programs. These can result in discounts, free products, and exclusive store promotions. When all else fails, you can just buy a new makeup kit outright. You can get one in a reusable train case or purchase a small makeup palette with everything you need to get started. Do you have other suggestions for creating the best frugal makeup kit? Please share your thoughts in the comments!